Fake Cops - Plague Of The Era. A young woman was driving on a back road, with limited lighting and hardly any other vehicles passing by. Suddenly, an unmarked car pulls out behind her and turns on a siren and lights. Something about this seems odd, and the young woman is instantly uncomfortable. She calls the emergency dispatch phone number and turns on her hazard lights. She wants the officer behind her to know she sees him, and she wants to verify him with someone she knows is police. To her terror, she finds out no police officers are patrolling the road she is travelling on. She is instructed to continue driving to a gas station, where the real police will be waiting for her and the imposter behind her. It happens, not only in the movies. Situations like this are very real. With movies portraying police officers and investigators, it has become increasingly easy for individuals to pretend to by police. Movies like “End of Watch” feature very realistic takes on police duty. Jake Gyllenhaal and Michael Pina spent five months riding along with police to study for their roles. It would be easy for the right kind of imposter to study these types of movies, learn the lingo and uniform, and pass himself off as a cop. In the high-tech, worldwide marketplace, you can even purchase sirens and lights for your vehicle for a few hundred dollars. Consequences? These guys don’t even care. There are very steep consequences for those who choose to impersonate law enforcement. In June 2015, two men were pulled over after unknowingly speeding past an unmarked police car while yelling out the windows that they were cops. The officer in the unmarked car pulled them over; of course, they were unable to produce badges or any other documentation proving their statements. The two men were arrested. A conviction has a sentence of up to five years in prison as well as paying fines. If the illegal action includes using police equipment like sirens and lights or having a firearm on you during the false claims, will lead to more serious charges and longer confinements. What to do? How to act? It is important to learn how to tell if the officer behind you, or the one standing in front of you, is really who they say. If a car is attempting to pull you over, it is well within your rights to call 911 to verify who they are. As long as you turn your hazard lights on to let them know you see them, you won’t get into trouble if they are a real officer.They will be willing to let you get to a populated and well light destination before you stop. Rolling down your window partially to ask for identification is also within your rights. Once you are sure you are dealing with a legitimate police officer, you need to become 100% compliant. If you are certain, they are an imposter you need to get away as fast as possible and notify the real cops of the vehicle and individual. Don’t trust the badge itself. 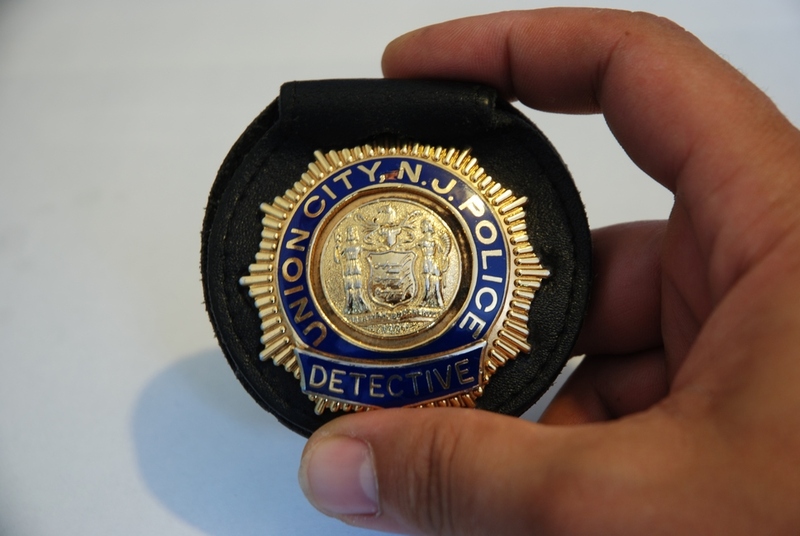 Police badges, even real ones, are easy to fake or steal. 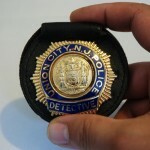 Just because you see a badge, doesn’t guarantee you are dealing with a real officer. One thing a real cop will have is an identification card. It holds no power, but it is required by all law enforcement officials. This will have their name, rank, and agency printed on it along with a color photograph of the officer. The issue date will be within the last five years. If a person can provide you their identification card with all these items correct, you are most likely dealing with an officer. They will let you see this card when you request. Of course, if you have any doubts or fears for your safety, calling 911 is always the correct course of action.